Back on November 2, I summarized the good and not-so-good features of the tax plan put forth by House Republicans. Here are the parts that made me happy. Ending the deduction for state and local income taxes. And what was the most disappointing part of the plan? Regarding my disappointment, I’m not just being a curmudgeonly libertarian. The bill is filled with timid and convoluted provisions, as well as some undesirable revenue-raising provisions, precisely because of congressional rules on long-run deficit neutrality. As I’ve noted in some of my TV interviews, Republicans are pushing sub-par policy because you can’t fit a football player’s body into Pee Wee Herman’s clothes. 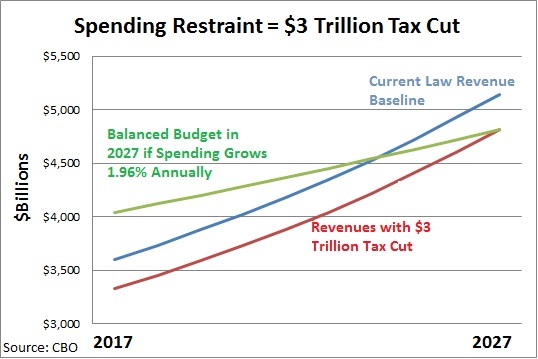 If Republicans were willing to impose some modest spending restraint, by contrast, that would have given them enormous flexibility for large tax cuts (while also balancing the budget!). But I’m a semi-realist about Washington. I’m not going to make the perfect the enemy of the good (or, in this case, the sort-of-decent the enemy of the I-guess-this-is-acceptable). 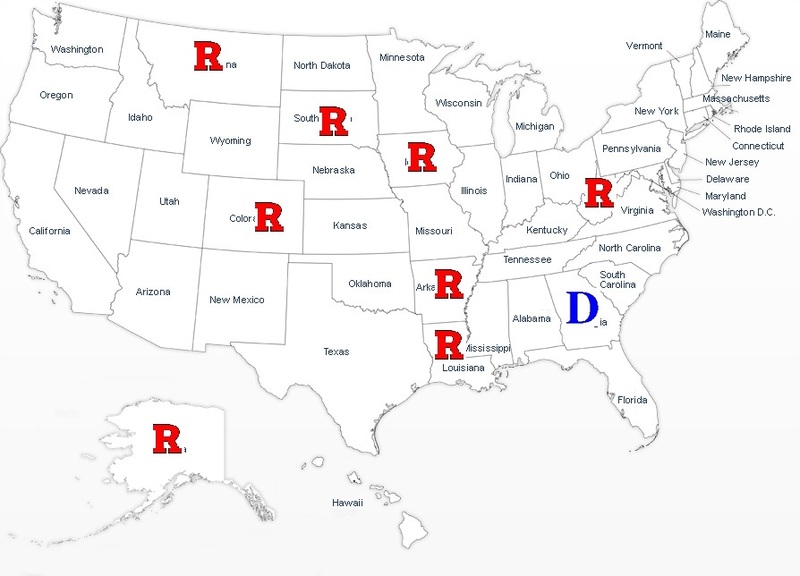 Now let’s look at what Senate Republicans have unveiled. In some cases, my grades are identical to the House bill because many of the major provisions are quite similar. But there are some noteworthy differences. America’s high corporate tax rate is probably the most self-destructive feature of the current system. 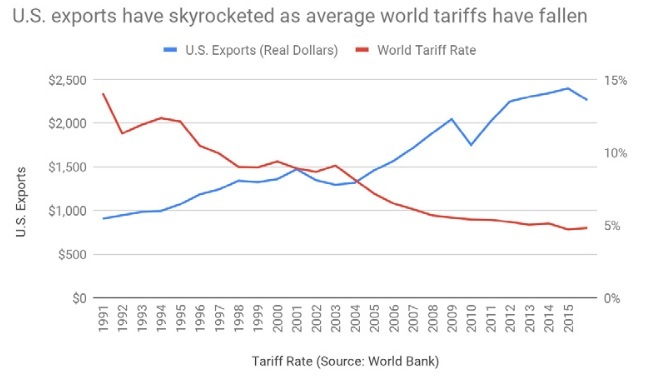 If the rate is permanently reduced from 35 percent to 20 percent, that will be a huge boost to competitiveness. The only downside is that the lower rate is deferred until 2019. The proposal is relatively timid on rate reductions for households. This is disappointing, but not unexpected since lower individual tax rates mean considerable revenue loss. Next to the lower corporate tax rate, this is the best part of the proposal. It generates revenue to use for pro-growth provisions while also eliminating a subsidy for bad policy on the part of state and local governments. Indeed, the Senate bill goes farther than the House bill since it includes property taxes. So I’ve retroactively changed my grade for the House bill from A+ to A- so I can give the Senate bill an A+. The deduction remains for home mortgages, but is curtailed for home equity loans. A timed improvement that will only slightly reduce the distortion that creates a bias for residential real estate compared to business investment. There’s no repeal. Just an increase in the amount of family savings that can be protected from the tax. Better than nothing, to be sure, but disappointing. It is quite likely that the consumer price index overstates inflation because it doesn’t properly capture increases in the quality of goods and service. Shifting to a different price index will lead to higher revenues because tax brackets and other provisions of the tax code won’t adjust at the same rate. That’s fine, but I’m dissatisfied with this provision since it should apply to spending programs as well as the tax code. The business interest deduction is partially undone, which is a step toward equal treatment of debt and equity. It’s not the right way of achieving that goal, but it does generate revenue to finance other pro-growth changes in the legislation. Now let’s zoom out and grade the overall plan in terms of major fiscal and economic goals. And you’ll see that all I’ve done is repeat exactly what I wrote about the House bill. In my fantasy world, I want a return to the very small federal government created and envisioned by the Founding Fathers. In the real world, I simply hope for a modest bit of spending restraint. This legislation doesn’t even pretend to curtail the growth of government, which is unfortunate since some fiscal prudence (federal budget growing about 2 percent per year) would have allowed a very large tax cut while also balancing the budget within 10 years. This is a positive proposal. It will mean more jobs, increased competitiveness, and higher incomes. The wonks in Washington doubtlessly will debate whether these positive effects are small or large, but I’m not overly fixated on that issue. Yes, I think the growth effects will be significant, but I also realize that many other policies also determine economic performance. The most important thing to understand, thought is that even small increases in growth make a big difference over time. Now let’s take a closer look at how the House and Senate plans differ. 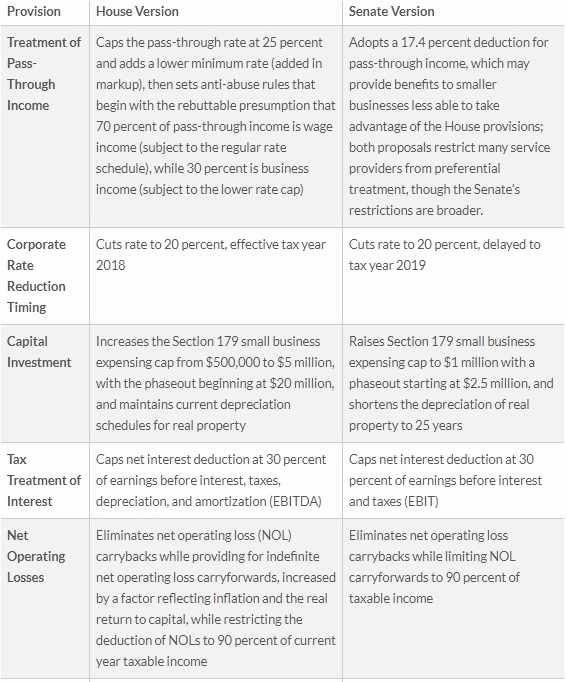 The Tax Foundation put together a very helpful comparison. I’ve broken it into three parts so I can interject some final commentary. 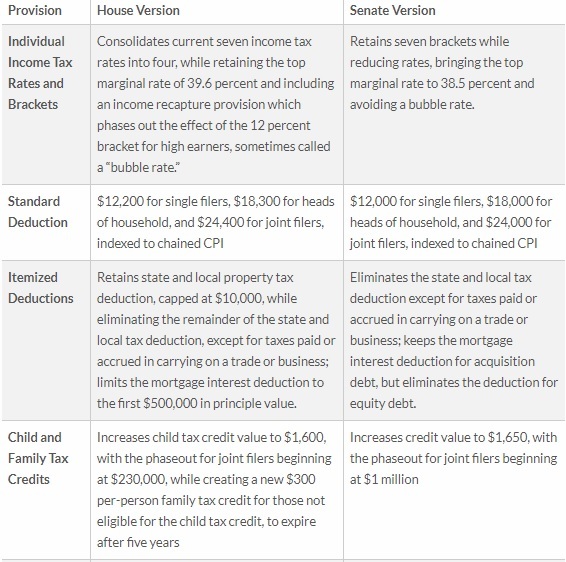 For this first section, since I already gave my two cents about itemized deductions, I’ll simply observe that the Senate plan is slightly better on individual income tax rates. For this second section, I’ll merely note that the first provision is basically an attempt to give relief to small businesses that are subject to the individual income tax. The provisions are complicated because it’s not easy to lower tax rates for “Schedule C” income in a way that doesn’t benefit taxpayers who aren’t perceived as being conventional small businesses. 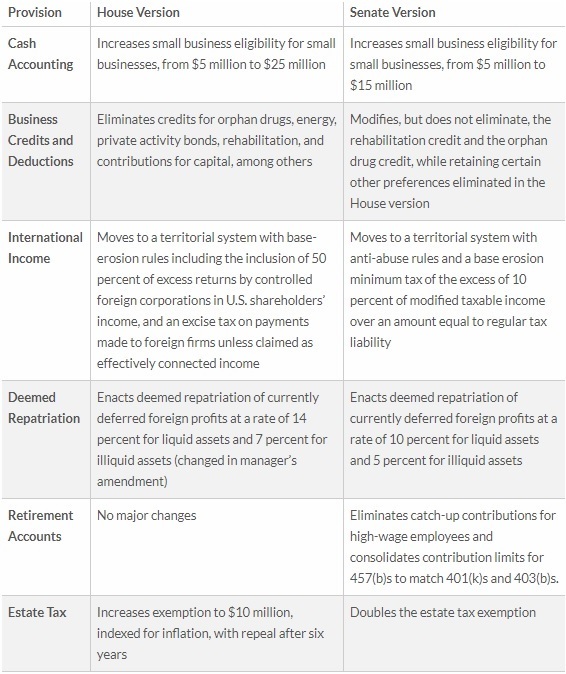 For this final section, the part that’s disappointing to me is “international income.” Both the House and Senate adopt territorial taxation for businesses, which is very good. But the congressional plans then claw back a bunch of money with OECD-style “base-erosion” policies and Obama-style global minimum taxes. It’s unclear if the net effect is modestly positive or modestly negative, but it’s not what many of us wanted when we pushed for territoriality. I’ll close by noting that I’m actually pleasantly surprised by the two plans. Yes, I’m grading on a curve, but I had very low expectations this year. I basically hoped to get a lower corporate rate with a bit of window dressing. So even though I fantasize about a flat tax, I’m reasonably happy about where we are now. The bottom line is that there’s now a good chance of getting legislation that drops the corporate rate to 20 percent while also eliminating the deduction for state and local income taxes. Those are two very good policies. And if we somehow get death tax repeal, that means three substantive, pro-growth reforms. Fingers crossed. When giving speeches outside the beltway, I sometimes urge people to be patient with Washington. Yes, we need fundamental tax reform and genuine entitlement reform, but there’s no way Congress can make those changes with Obama in the White House. But there are some areas whether progress is possible, and people should be angry with politicians if they deliberately choose to make bad decisions. 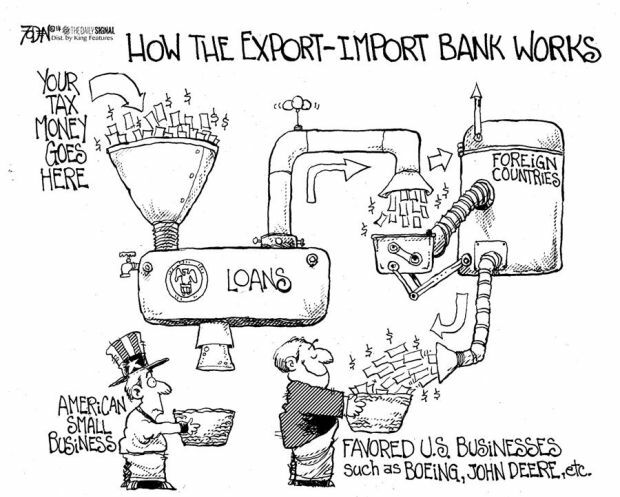 For instance, the corrupt Export-Import Bank has expired and there’s nothing that Obama can do to restore this odious example of corporate welfare. It will only climb from the grave if Republicans on Capitol Hill decide that campaign cash from big corporations is more important than free markets. Another example of a guaranteed victory – assuming Republicans don’t fumble the ball at the goal line – is that there’s no longer enough gas-tax revenue coming into the Highway Trust Fund to finance big, bloated, and pork-filled transportation spending bills. So if the GOP-controlled Congress simply does nothing, the federal government’s improper and excessive involvement in this sector will shrink. Unfortunately, Republicans have no desire to achieve victory on this issue. It’s not that there’s a risk of them fumbling the ball on the goal line. By looking for ways to generate more revenue for the Trust Fund, they’re moving the ball in the other direction and trying to help the other team score a touchdown! The good news is that Republicans backed away from awful proposals to increase the federal gas tax. 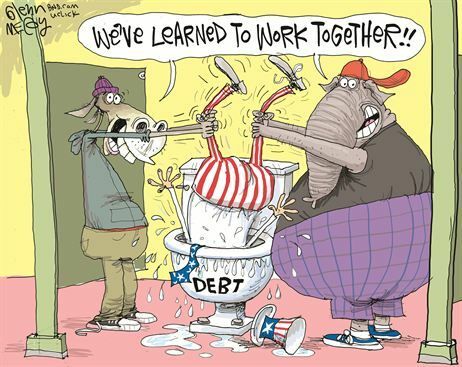 But the bad news is that they’re coming up with other ideas to transfer more of our income to Washington. 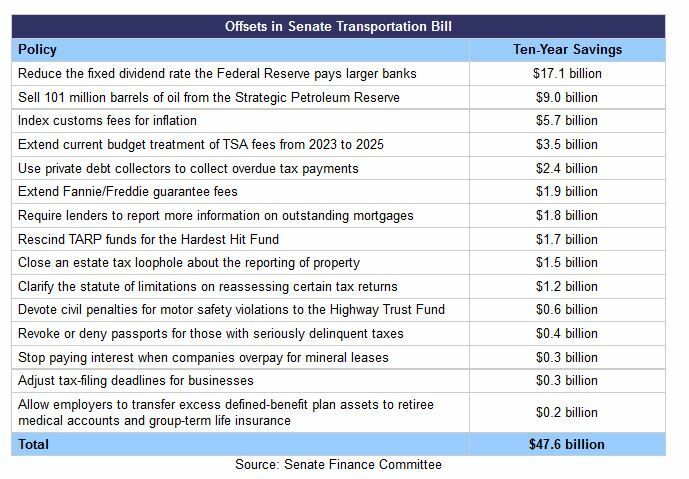 Here’s a look at some of the revenue-generating schemes in the Senate transportation bill. Since the House and Senate haven’t agreed on how to proceed, it’s unclear which – if any – of these proposals will be implemented. But one thing that is clear is that the greed for more federal transportation spending is tempting Republicans into giving more power to the IRS. Republicans and Democrats alike are looking to the IRS as they try to pass a highway bill by the end of the month. Approving stricter tax compliance measure is one of the few areas of agreement between the House and the Senate when it comes to paying for an extension of transportation funding. …the Senate and House are considering policy changes for the IRS ahead of the July 31 transportation deadline. …With little exception, the Senate bill uses the same provisions that were in a five-month, $8 billion extension the House passed earlier this month. The House highway bill, which would fund programs through mid-December, gets about 60 percent of its funding from tax compliance measures. …it’s…something of a shift for Republicans to trust the IRS enough to back the new tax compliance measures. House Republicans opposed similar proposals during a 2014 debate over highway funding, both because they didn’t want to give the IRS extra authority and because they wanted to hold the line on using new revenues to pay for additional spending. Gee, isn’t it swell that Republicans have “grown in office” since last year. But this isn’t just an issue of GOPers deciding that the DC cesspool is actually a hot tub. Part of the problem is the way Congress operates. 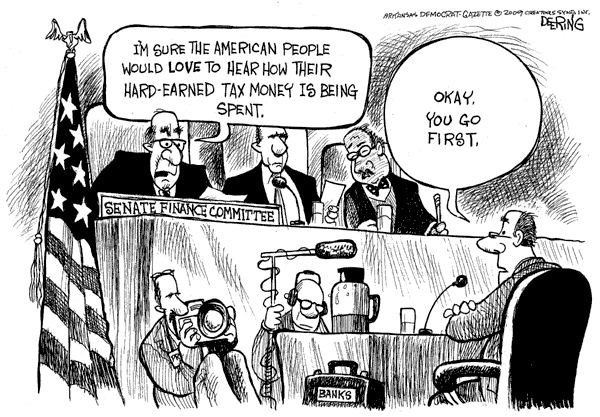 Simply stated, the congressional committee system generally encourages bad decisions. If you want to understand why there’s no push to scale back the role of the federal government in transportation, just look at the role of the committees in the House and Senate that are involved with the issue. Both the authorizing committees (the ones that set the policy) and the appropriating committees (the ones that spend the money) are among the biggest advocates of generating more revenue in order to enable continued federal government involvement in transportation. Why? For the simple reason that allocating transportation dollars is how the members of these committees raise campaign cash and buy votes. As such, it’s safe to assume that politicians don’t get on those committees with the goal of scaling back federal subsidies for the transportation sector. And this isn’t unique to the committees that deal with transportation. It’s also a safe bet that politicians that gravitate to the agriculture committees have a strong interest in maintaining the unseemly system of handouts and subsidies that line the pockets of Big Ag. The same is true for politicians that seek out committee slots dealing with NASA. Or foreign aid. Or military bases. The bottom line is that even politicians who generally have sound views are most likely to make bad decisions on issues that are related to their committee assignments. Well, it’s unlikely that we’ll see a shift to random and/or rotating committee assignments, so the only real hope is to have some sort of overall cap on spending so that the various committees have to fight with each other over a (hopefully) shrinking pool of funds. That’s why the Gramm-Rudman law in the 1980s was a step in the right direction. And it’s why the spending caps in today’s Budget Control Act also are a good idea. Most important, it’s why we should have a limit on all spending, such as what’s imposed by the so-called Debt Brake in Switzerland. Heck, even the crowd at the IMF has felt compelled to admit spending caps are the only effective fiscal tool. Maybe, just maybe, a firm and enforceable spending cap will lead politicians in Washington to finally get the federal government out of areas such as transportation (and housing, agriculture, education, etc) where it doesn’t belong. 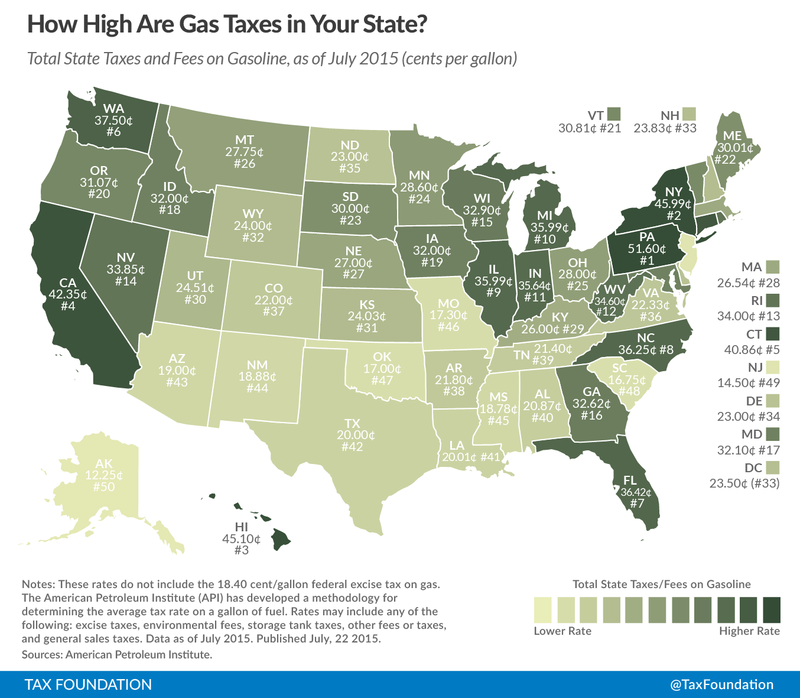 In the meantime, since we’re on the topic of transportation decentralization, here’s a map from the Tax Foundation showing how gas taxes vary by states. This data is useful (for instance, it shows why drivers in New York and Pennsylvania should fill up their tanks in New Jersey), but doesn’t necessarily tell us which states have the best transportation policy. Are the gas taxes used for roads, or is some of the money siphoned off for boondoggle mass transit projects? Do the states have Project Labor Agreements and other policies that line the pockets of unions and cause needlessly high costs? Is there innovation and flexibility for greater private sector involvement in construction, maintenance, and operation? But this is what’s good about federalism and why decentralization is so important. The states should be the laboratories of democracy. And when they have genuine responsibility for an issue, it then becomes easier to see which ones are doing a good job. So yet another reason to shut down the Department of Transportation. Two years ago, I jumped on USA Today for stating that the 112th Congress was the “least productive” since the end of World War II. My argument was very straightforward. It’s better to have no legislation than bad legislation. Here’s some of what I wrote about USA Today’s hypothesis. …it does blindly assume that it is productive to impose more laws. 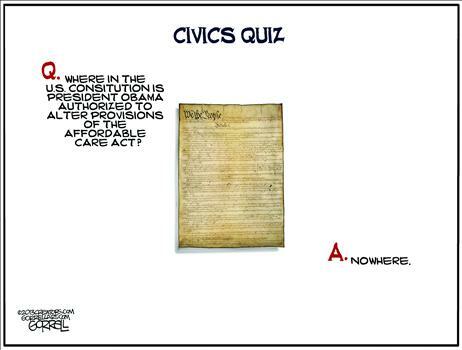 Was it productive to enact Obamacare? What about the faux stimulus? Or the Dodd-Frank bailout bill? Wouldn’t the headline be more accurate if it read, “This Congress could be least destructive since 1947″? …To be sure, not all legislation is bad. 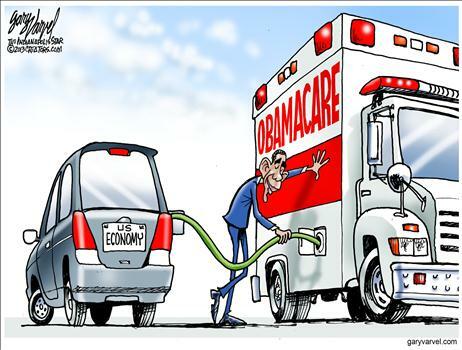 …Congress would have to enact a law to repeal Obamacare. Laws also would need to be changed to reform entitlements, or adopt a flat tax. And some laws are benign, such as the enactment of Dairy Goat Awareness Week or naming a federal courthouse. But I’m guessing that the vast majority of substantive laws are bad for freedom and result in less prosperity. One year ago, I criticized the Washington Post, which complained that the 1st Session of the 113th Congress wasn’t productive. Here are a few excerpts from that column. Do you think that additional laws from Washington will give you more freedom and more prosperity? …I strongly suspect most Americans will say “no.” …That’s because taxpayers instinctively understand that more activity in Washington usually translates into bigger and more expensive government. …The first session of the current Congress may have been the “least productive” in history when it comes to imposing new laws, but…that “record-low congressional accomplishment” translates into a smaller burden of government spending. Indeed, government spending actually has declined for two consecutive years. That hasn’t happened since the 1950s. Well, this topic is my version of Bill Murray’s Groundhog Day, because it’s time to deal with the same silly arguments. Only this time, we’re looking at the final data for the 113th Congress. But we’ll still mock media outlets for mindlessly equating legislation with productivity. So what’s my reaction to these complaints? Well, here’s where my Groundhog Day analogy breaks down. In the movie, Bill Murray learns to change his responses to win the heart of Andie MacDowell. But I don’t have any new responses. My reactions today are exactly the same as two years ago and one year ago. As a general rule, I want less legislation. Heck, I’d probably even be willing to double Congressional pay if lawmakers agreed to be even less “productive.” Maybe they could copy the Texas state legislature and only meet every other year, with a limit of being in session no more than 140 days! Since I don’t really have anything new to add to the debate on legislative “productivity,” I may as well close today’s column by mocking another Washington shibboleth. I wrote last year that “bipartisanship” isn’t always a wonderful thing, as is so often claimed in Washington. You have to look at the actual policies that are generated when Republicans and Democrats cooperate. And the track record isn’t very good. Was TARP good legislation? 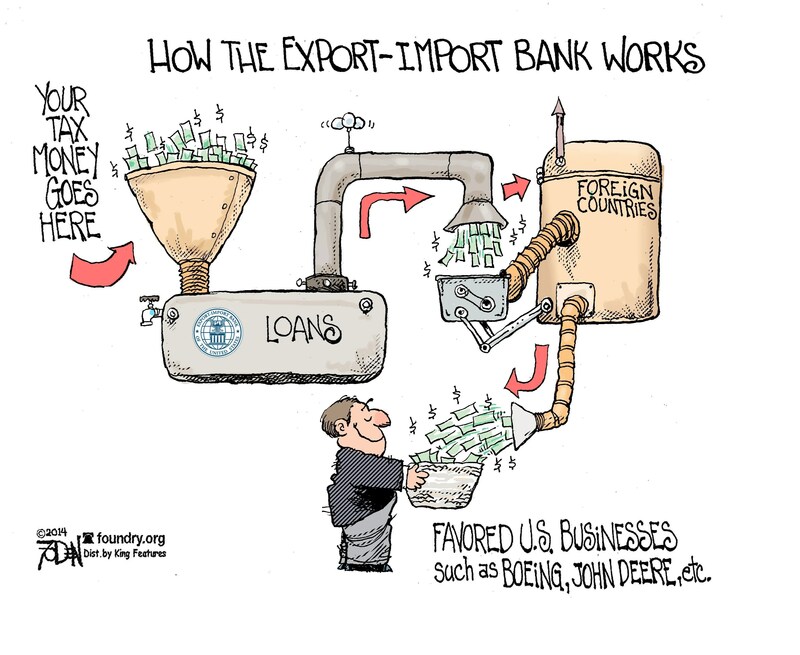 Maybe for politically well-connected financial institutions, but not for taxpayers. What about the supposedly bipartisan budget agreements of recent decades? In most cases, the result was that politicians banded together to take more money from taxpayers. Or how about Bush’s No-Bureaucrat-Left-Behind education bill? Well, that was good news for the education establishment, but it certainly didn’t lead to better outcomes. This doesn’t mean it’s always bad when the parties work together on an issue. Reagan’s economic program wouldn’t have passed Congress without a lot of support from Democrats. And transportation deregulation was a bipartisan operation during the Carter years, ably assisted by former Senator Ted Kennedy. So my real message isn’t that bipartisanship is bad. 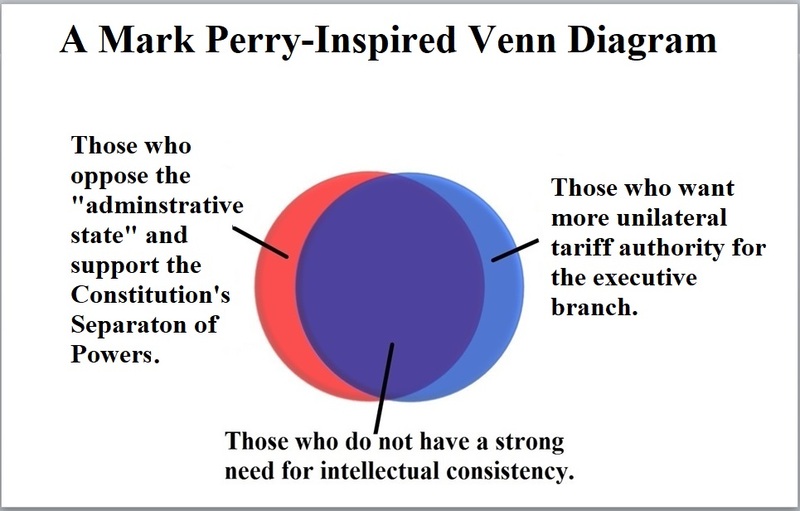 Instead I’m simply saying that bipartisanship is akin to legislative productivity. You have to look at the legislation that’s being produced before you can make a reasoned assessment. 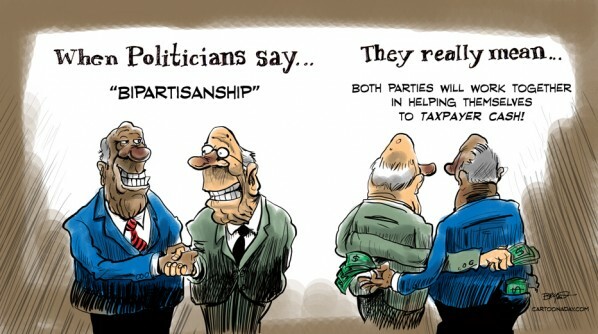 Now that we’ve made that serious point, let’s close with a couple of cartoons about the wrong kinds of bipartisanship. Here’s Glenn McCoy with a scene from a school bathroom. I don’t know the author of this final cartoon, but it’s also worth sharing. 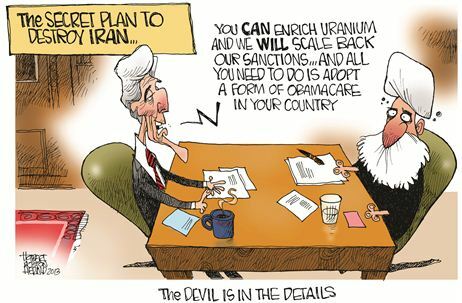 If you like these types of cartoons, click here to see some gems from Lisa Benson and Gary Varvel. 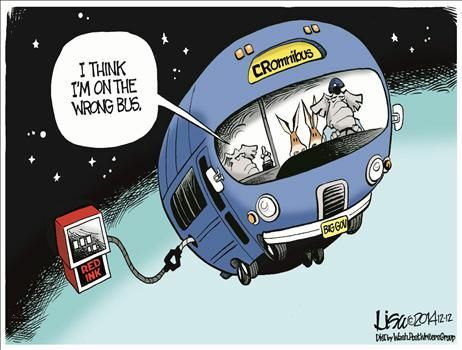 And there are also some funny cartoons about bipartisanship from Michael Ramirez and Glenn McCoy. That’s because taxpayers instinctively understand that more activity in Washington usually translates into bigger and more expensive government. 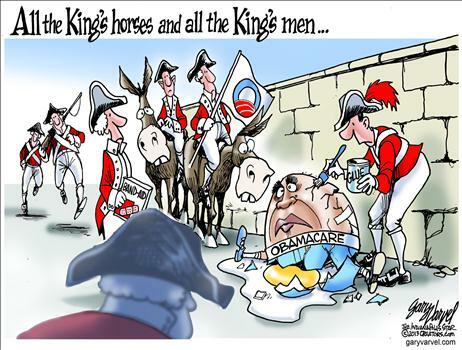 Or, to be more colloquial, this image summarizes how they view Washington. And the last thing you want is more “action” when you’re on the lower floor. Sort of like living downwind from the sewage treatment plant. But while most of us think this is probably good news, Washington insiders are whining and complaining about “diminished productivity” in Congress. The Washington Post, which is the voice of DC’s parasite class, is very disappointed that lawmakers aren’t enacting more taxes, more spending, and more regulation. Well, there are probably many ways this could be measured, but one of the most obvious benchmarks is the federal budget. And it appears that “record-low congressional accomplishment” translates into a smaller burden of government spending. Indeed, government spending actually has declined for two consecutive years. That hasn’t happened since the 1950s. And it’s worth reminding people that you begin to solve the symptom of red ink when you address the underlying disease of too much spending. That’s why the deficit has fallen by almost 50 percent in the past two years. Interestingly, the Washington Post accidentally confirms that you get better policy when you have fewer news laws. In 1995, when the newly empowered GOP congressional majority confronted the Clinton administration, 88 laws were enacted, the record low in the post-World War II era. Needless to say, the author isn’t saying that we got good policy because there were a “record low” number of laws in 1995. But if we look at fiscal policy during that period, that’s when we began a multi-year period of spending restraint that led to budget surpluses. In other words, we should be very grateful for “unproductive” politicians. It’s obviously a gross over-simplification to assert that the number of laws is correlated with good policy or bad policy. 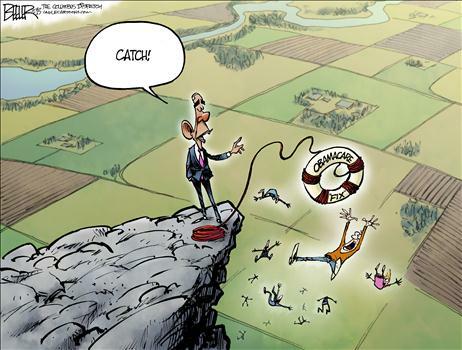 Sometimes politicians impose laws that increase the burden of government (with Obamacare being an obvious example). But sometimes they enact laws that increase economic liberty and reduce government (with the sequester being a good example, even though very few politicians actually wanted that result). To conclude, the message of this post is that we shouldn’t worry about “diminished productivity” in Washington if it means fewer bad laws. That being said, we’ll never fix a corrupt tax code or reform bankrupt entitlement programs unless there are new laws to replace old laws that created bad policy. P.S. Since we’re talking about low productivity in Washington, there’s good evidence that bureaucrats don’t work very hard compared to workers in the economy’s productive sector. But that’s probably a good thing. After all, do we want bureaucrats (like this one) being more diligent? That’s why we should focus on reducing their excessive compensation rather than encouraging them to put in a full day’s work.